Large United States wall map for business office, showing Highways, Counties, County names, Cities & Towns, Water areas, very High detail. 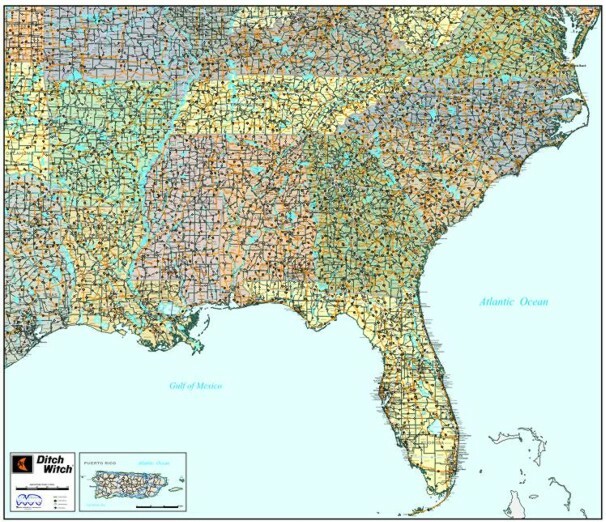 view our new USA COUNTY OUTLINE map for marketing- County Outline with cities & towns your choice of Colored States, White background or Shaded MSA's MAP...70x42"
A PORTRAIT MAP OF YOUR REGIONAL COVERAGE. DON'T COMPROMISE WITH A MAP THAT DOESN'T QUITE WORK FOR YOU. USING BASE MAPS WE CAN CREATE THE AREA YOU NEED, ADD SYMBOLS TO HIGHLIGHT CERTAIN ASPECTS, AND PRINT AS MANY COPIES AS YOU NEED. WE HAVE YEARS OF EXPERIENCE ALONG WITH COMPUTERIZED GRAPHICS AND DIGITAL CARTOGRAPHY. FROM WALL SIZE ENLARGEMENTS FOR A CONFERENCE ROOM, TO MAPS ON BOARD WITH OVERLAYS FOR PRESENTATIONS, TO CUSTOM PRINTS WITH YOUR LOGO FOR MEDIA PACKAGES AND ADVERTISING, WE HAVE DEVELOPED HUNDRED OF CUSTOM MAPS. CHECK OUT OUR LIST OF REFERENCES. Back to A Maps and Graphics. Counties, County names, Cites and/or small towns, Interstate, Federal and Major State Highways, Water Features. Insets available for Alaska, Hawaii, and Puerto Rico, or Major Metropolitan areas. 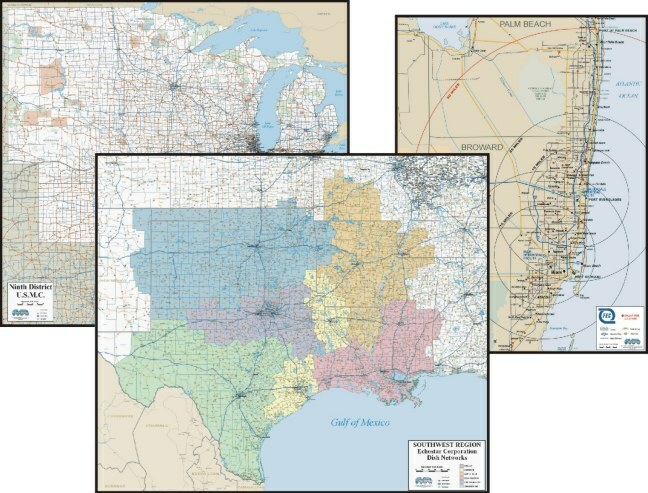 NEW U.S.A. County/Town WALL MAP Sales & Marketing Wall maps generally used for defining sales territories, district branch or franchise locations demographic studies, and marketing research. County and Town Counties and cities, without the clutter of highways, in black and white or color. 5-Digit Zip Code Wall Map/ plotted per order with contrasting colored zips orcounties, Red Zips on a black & white base map showing cities, highways, zip codes with boundaries.